In our latest Q&A here on WW2 Nation, I had the pleasure of catching up with renowned British Second World War historian, James Holland about a number of exciting history projects as he reveals all about what he is currently working on. Over the past few months we have seen you visiting some incredible WW2 related locations. Has this all been in aid of research for your upcoming books or perhaps for an exciting new TV series? Well, I’ve been doing a fair amount of TV recently and for a number of different series. One is an eight-parter called ‘Hunting Nazi Treasure,’ which is an investigation into the huge amount of looting carried out but the Nazis: money, art, even furniture and gold teeth. They were the biggest thieves in history. That’s taken me to Tunisia, Austria, Germany, Poland, France, the USA and Italy. It’s been utterly fascinating. 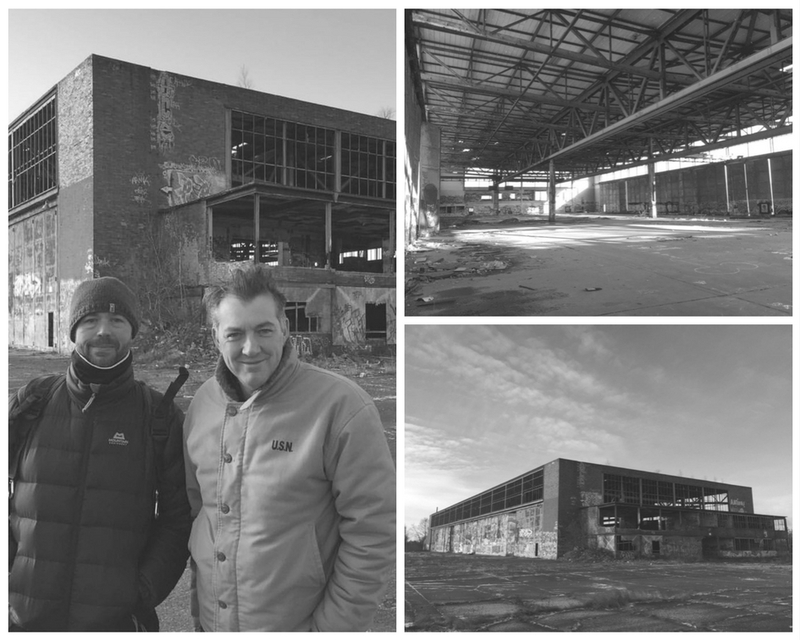 I’m making it with Robert Edsel of Monuments Men fame and adventurer Conor Woodman. Then there’s been Season 4 of Nazi Megastrucutres, which has also been as fun and interesting as ever. TV companies get access to things and places no lone historian can get access to. A lot of this material and new research makes its way into the books. And I’ve also been making a documentary for Dan Snow’s new digital channel, History Hit – a kind of Netflix of history. It’s the way forward and am sure will be a success. And frankly, it’s been a massive privilege. 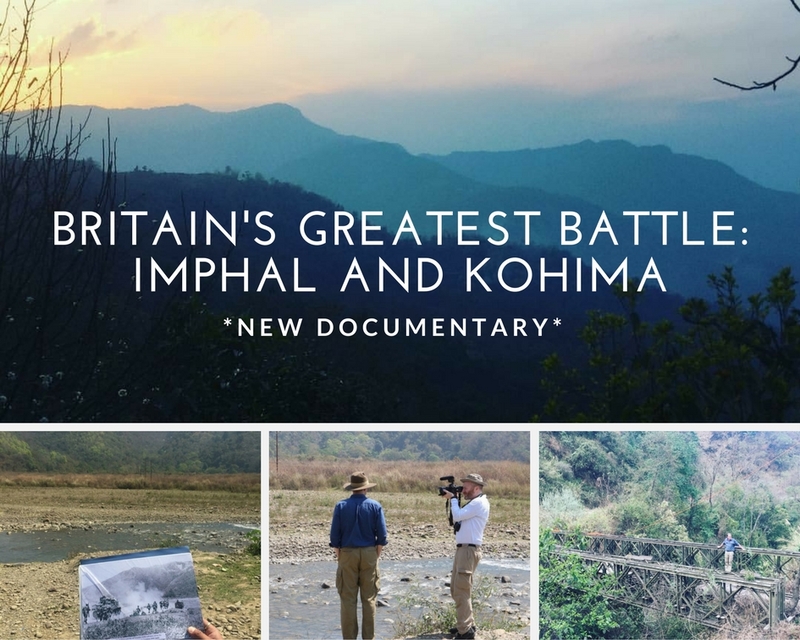 I’ve made a film called ‘Britain’s Greatest Battle: Imphal and Kohima.’ We were the first historians to visit many parts of the Imphal battlefields since the end of the war. It was just amazing. I’m a bit obsessed by Slim and the war in the Far East now. I’ve been very, very lucky. 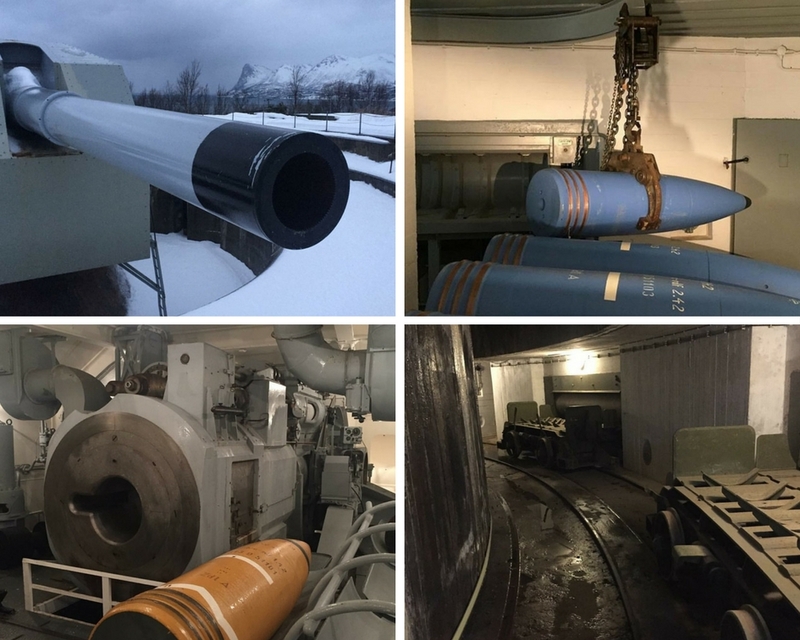 Three places that you visited in particular caught my eye, Norway’s Trondenes arctic battery, a panzer firing range and also the Heinkel factory at Oranienburg. It must have been incredible to see these places knowing their history, could you tell us a little bit more about them and their significance during the 1940s? The gun battery was extraordinary because it’s still in working order. 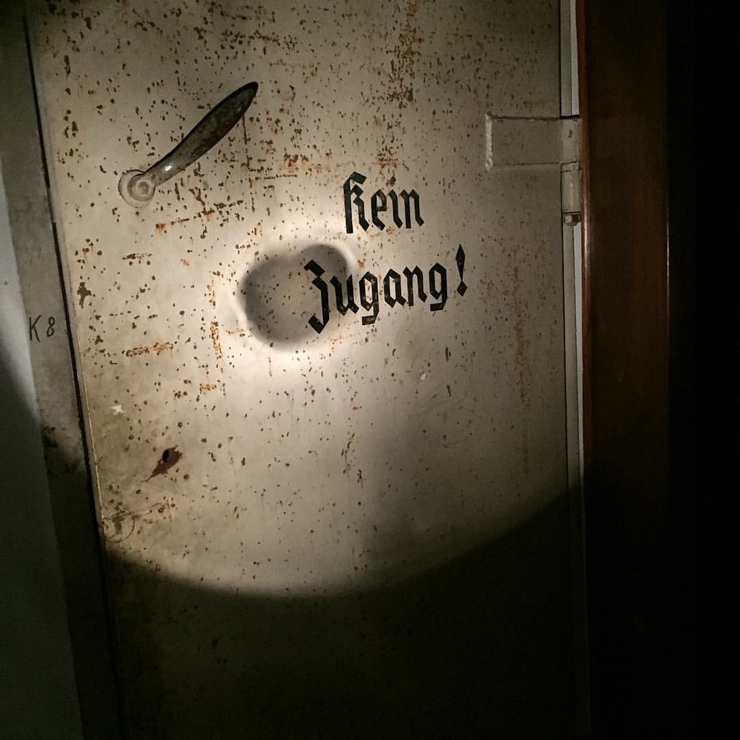 I’ve been in more German wartime bunkers than I care to mention but most are dark, dank miserable places. 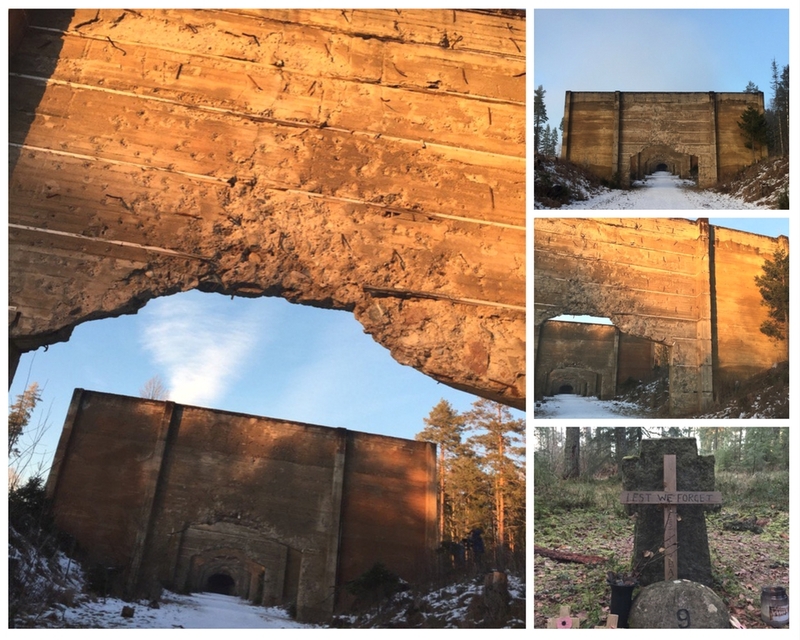 This gun battery was largely as it would have been back in the war and it was amazing to see the lengths the Germans had gone to create such a sophisticated battery – and all that went with it – in such a challenging and remote place. For resource-poor Germany, it was mind-boggling how much they wasted. This gun never fired a shot in anger. There were hundreds of batteries along Norway’s Arctic coastline most of which were redundant. The Panzer firing range just outside Oslo also seemed massively excessive and over-the-top to me although my pal Rob Schäfer assures me this wasn’t the case. I’m not convinced. The place was vast, required yet more steel and concrete and achieved very little apart from masking the sound of executions being carried out in the woods next door. It was chilling. The Heinkel factory was another of those enormous wartime Nazi constructions that still exist but about which few people today know. You could see that back in the late 1930s when it was first built it must have been a symbol of the exciting modern new world the Nazis had brought to Germany. Am I right in thinking you also went on board both Goebbels’ and Hitler’s personal train carriages? What was this like? 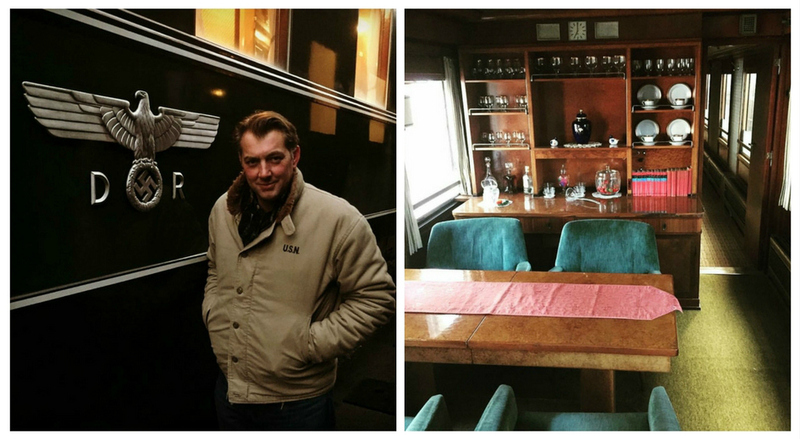 Yes, Goebbels’ personal carriage and some of the carriages on Hitler’s train Asia, but which were used by guests. They were as luxurious as you might imagine. Goebbels’ carriage even had a bath. A horrible image of a rather white, scrawny and sickly naked Goebbels squatting in it came to mind. Needless to say, it was not very pleasant! What’s personally been the most interesting WW2 related place that you have visited as part of this filming experience and why? The battlefields of Imphal, no question about it. That was very, very special and utterly fascinating. I’m a big believer in the importance of walking the ground because 2D maps and photos never do a place justice. Only when you see the ground for yourself does it all start to add up and make sense. 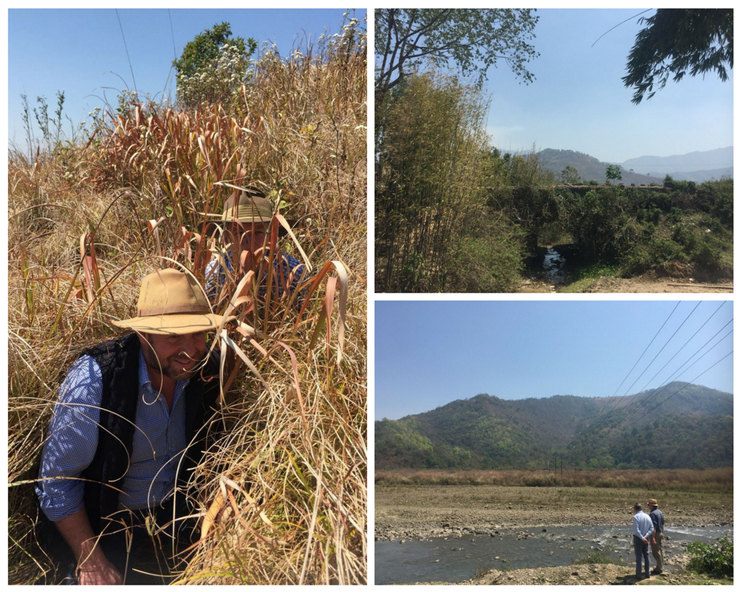 To sit in an old British trench on Recce Hill on the Shenam Saddle and see the road winding its way towards Burma was incredible. The view has barely changed and that was the same road over which the British retreated back to India from Burma in 1942, along which the Japanese advanced in March 1944, and back over which much of Fourteenth Army passed back into Burma again later that year. I’ll never forget it. 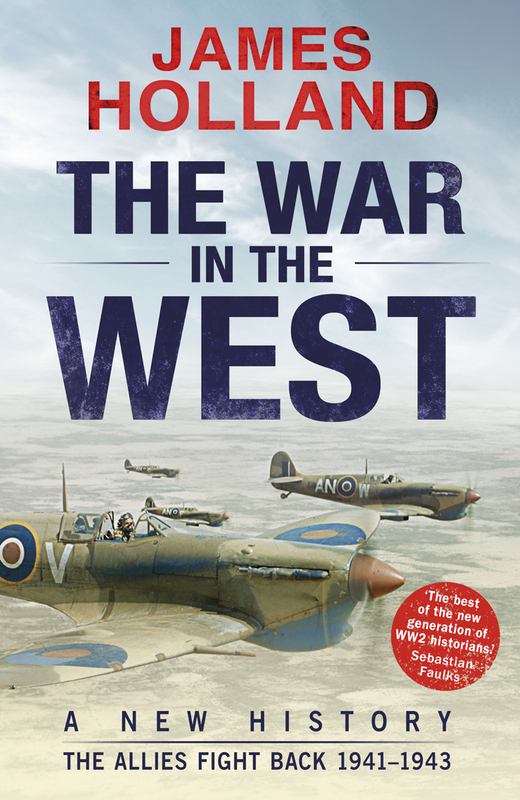 This year we eagerly await the release of the 2nd Volume of your book, the War in the West, The Allies Fight Back 1941-1943. What aspects of the war will this instalment be examining and when is it due to be officially released? I can’t remember the precise date, but it’s some time in the first half of May. This volume covers the German invasion of the Soviet Union to the eve of the Allied invasion of Sicily, so some pretty meaty stuff. Lots on the vital Battle of the Atlantic, the Eastern Front, the gradual rise in US industrial output, the rapid unravelling of Germany’s war strategy, and some – hopefully – thought-provoking fresh analysis on training and weaponry. And lots of air stuff too. Can you give us any teasers of what to look forward to inside this 2nd Volume? I know you have been dispelling a number of WW2 related myths in your first book, can we expect more of the same in this one? Well, I argue that the Battle of the Atlantic was the most important theatre in the War in the West and point out the utter pointlessness of the German drive to the Caucasus in 1942. I’ve also done a lot of work on training and I can assure you that when it came to infantry training there wasn’t much in it between Allied and German approaches. The heart of the thesis in these volumes is that over the past 40-50 years, we’ve concentrated on the strategic and tactical levels of war in our understanding of WWII, but largely ignored the operational level. Once you reinsert that, it changes things a lot. Volume II is a continuation of that thesis. I hope there’s a lot in it that people will find surprising. Thanks to James for kindly taking the time to speak with us in between these numerous exciting WW2 related projects. Also a big thank you to you for reading. 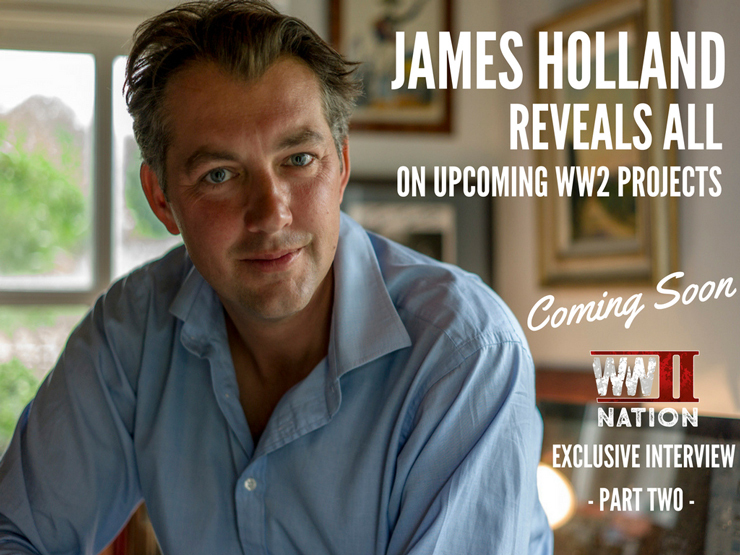 Part Two of this exclusive interview with James Holland will be out very shortly, in which we turn to discussing a new 12 part book mini-series, script-writing for a movie on the siege of Malta during the Second World War, WarGen, CVHF and much more! You can find out more about James Holland and also read more fascinating stories by him about his travels and exploration into the Second World War on his Website or by following him on Twitter. Until then though, why not watch our latest Vlog? Photo Credits – All photos kindly provided by James Holland.